The Front Runner is a horse who takes the lead at the start of the race and maintains that lead until crossing the finish line. 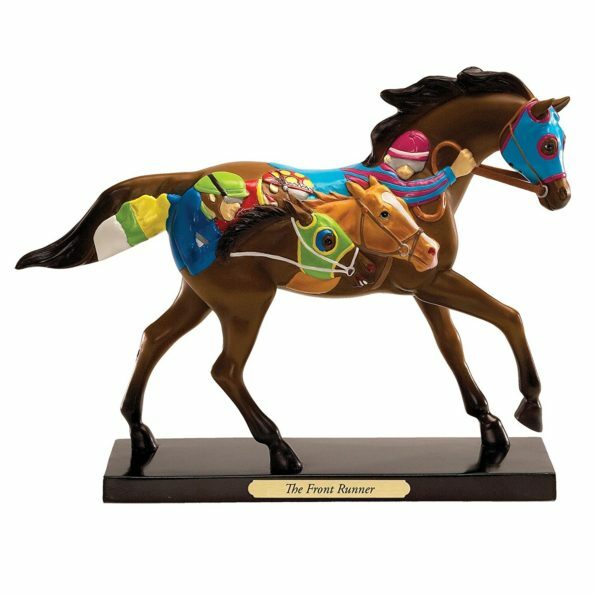 “The Front Runner,” is a rare and beautiful Trail of Painted Trail of Painted Ponies and are really a true miniature art work. These pony trail are very popular in America, Canada, Australia, the UK and Europe. Buy now!